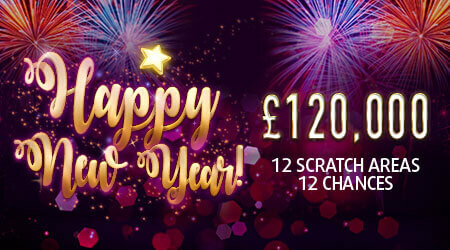 It really will be a Happy New Year if you land this scratchcard’s £120,000 top prize! You’ve got 12 chances to win, and can play now for just £3! Return to player rated at 65%.